There is no other brand of blades I will use! This 30 is amazing!! The smoothest cut with a guard comb I have ever gotten!! 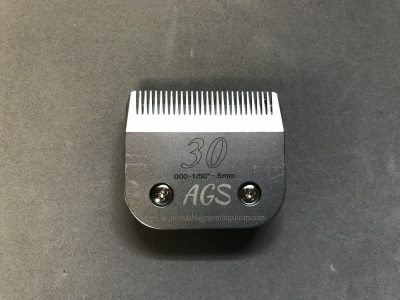 I use the AGS 30 blade under my metal snap on combs for thick coats. It’s cuts clean and it stays sharp longer then other blades (Andis and Oster) I have used over the years. This blade is a must have. This is my go to blade on paw pads! Highly recommend! No better blade out there than AGS! The absolute best 30 blade I’ve ever used! Worked right out of the box no tugging hair. I use it under metal comb attachments and it leaves the smoothest cut, no lines or having to go over and over like I used to with other brands. Highly recommend this blade and I look forward to purchasing other lengths in the future! Can’t believe how much better these work compared to my old andis blades. They stay cool for so long and have such a great smooth finish. I rarely need sharpening on them. Amazing quality. You won’t be disappointed. My coworker whose been grooming for over 15 years could not go back to her old blades after having tested mine out, so she had to buy some of her own eventually! I love using this blade under my combs as well as for paw pads. They stay cool and sharp. 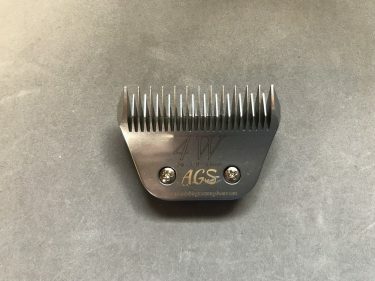 This was one of the first blades I bought from AGS because all my other 30 blades would constantly drag through thick doodle coats, when trying to work with my comb attachments. I love how this just plows through coat, reducing the number of times I need to go through the coat to get a smooth finish. After this blade, I switched all my blades to the AGS! I absolutely love these blades! They cut well and hold up well too! I bought this blade when he was having a sale. They are very comparative to the big name blades but seam to be more durable. I am bad about dropping my stuff. I have not broken this blade yet! Also they do seam to stay sharper longer. The best blades I have ever used. Love this under a snap on comb. Cuts smooth and saves time. I love this blade under my combs. 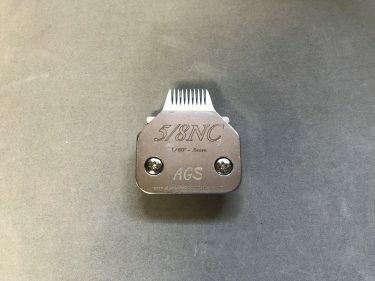 I am slowly transitioning all my blades over to AGS, as they are the best out there! Delightful smooth cutting, cool running blades. I reach for all my AGS blades before my other big named ones. I find I’m in need of a back up for each become I can certainly tell when I’m not using one. They make a real difference! This is the absolute best brand for clipper blades. #30 blade is perfect to use under the AGS snap on combs. This is my #1 recommendation to ant dog groomer! This blade is absolutely amazing under the snap on Combs. After I bought one AGS blade, I can’t use any other brand now!! 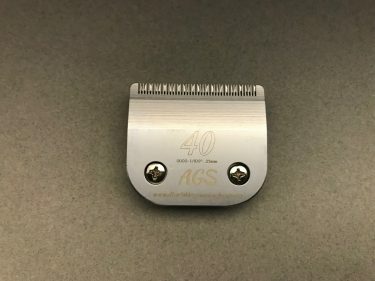 AGS 30 blades are amazing! 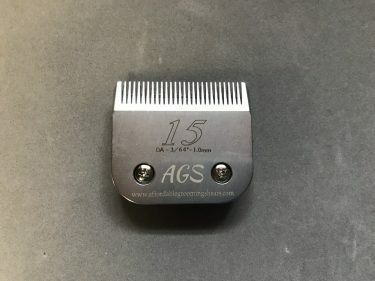 I used to have problems with teeth breaking under my combs, but not with AGS! And they cut amazing! FINALLY a 30 blade that hold up with me! Ive tried andis, oster, wahl to no avail. cuts like butter right out of the box (which is far more than I can say for some other brands) and I’m roughly 2 months in with no broken teeth! I am very excited and impressed with the quality. These are the best blades ever! They glide through the coat like butter. I replaced all my blades with AGS brand blades and only use my old ones as back ups now.